Explore the numerous day-trip ideas around Brisbane: Warner Bros. Movie World (in Oxenford), Sea World Theme Park (in Main Beach) and Pelican Feeding (in Labrador). There's still lots to do: walk around South Bank Parklands, get to know the resident critters at Australia Zoo, admire the natural beauty at City Botanic Gardens, and get great views at Mount Coot-tha Lookout. 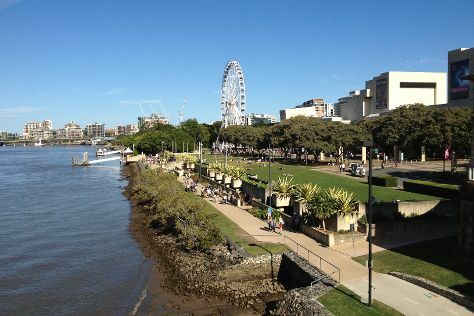 For where to stay, more things to do, ratings, and more tourist information, refer to the Brisbane travel tool . If you are flying in from United Kingdom, the closest major airports are Brisbane International Airport and Gold Coast Airport. In March, plan for daily highs up to 32°C, and evening lows to 23°C. Finish up your sightseeing early on the 6th (Wed) so you can travel back home.